Despite expressing concerns over Khashoggi’s disappearance, President Trump did not take steps to put an end to the $110 billion US-Saudi arms trade. 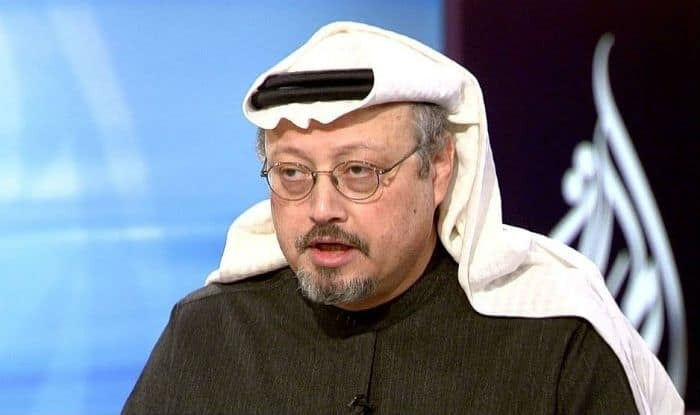 Washington: US President Donald Trump on Saturday warned that Saudi Arabia would be severely punished if the kingdom was in anyway responsible for journalist and Washington Post contributor Jamal Khashoggi’s disappearance from Saudi consulate in Turkey. While Turkish officials insist that Khashoggi was killed in the consulate, the Saudis claim that he entered the building at 1.14 pm on 2 October and left the place. An international law prevents authorities from searching the building. Citing this, the Turkish media reported that officials fear that Khashoggi’s murder inside the consulate by a Saudi hit squad would have been well concealed. Saudi Arabia, on the other hand, dismissed the allegations as “lies”. Saudi kingdom’s Interior Minister Prince Abdulaziz bin Saud Naif bin Abdulaziz dismissed reports of Khashoggi’s murder as “lies and baseless allegations”, said the state-run Saudi Press Agency. “There’s a lot at stake,” said Donald Trump, adding that “maybe especially so because this man was a reporter.” The disappearance of Khashoggi gained worldwide attention because the Saudi journalist and Washington Post columnist was a fierce critic of Riyadh’s human rights violations and the policies of Crown Prince Mohammed bin Salman. He has been missing ever since he went to the kingdom’s consulate in Istanbul on October 2 for getting the paperwork required for his arranged marriage. Hatice Cengiz, Khashoggi’s Turkish fiancee, told the Associated Press on Friday that “He said ‘See you later my darling’ and went in.” Those were the last words of Khashoggi to her. Despite expressing concerns over Khashoggi’s disappearance, President Trump did not take steps to put an end to the $110 billion US-Saudi arms trade. Rather cancelling military contracts, there are “other ways of punishing”, said Trump.